With margins tight and the economy setting challenges for us all, we know that printers and clients are constantly on the lookout for something to differentiate themselves from the competition. Often, just what form that ‘something’ might take is still very much ‘to be confirmed’. 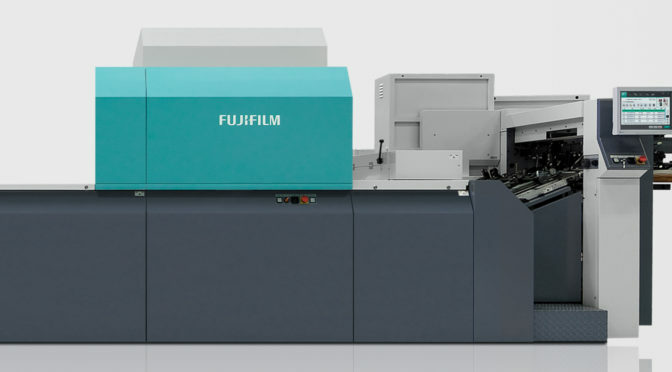 Enter sheet-fed digital inkjet technology – not just your average digital printing, but a technology which has made many headlines due to the outstanding quality it offers at high speed, at a cost effective price and in B2 format. The versatility that can be offered by the Jet Press 720S digital inkjet press, with the exceptional quality, B2 format and the flexibility of short runs which fits perfectly with the versioning that most clients need today, speaks for itself. But add to that the vision of a forward thinking company and you get the potential for truly outstanding applications. Today, people are bombarded with information, and really only the eye-catching, added value applications stand out from the crowd. The ability to develop and demonstrate new ideas with the help of the truly amazing technologies currently available on the market could be that elusive ‘something’ that opens up a whole new world of business opportunities. Now you can specialise in printing shorter, customised runs with faster turnaround times at a lower cost overall.